"This is already India's highest score against South Africa, home or away, by FAR. The previous highest was 261/9," wrote an ardent women’s cricket follower on a Facebook wall. Within seconds, the post was flooded with confused comments as Virat Kohli & Co were on 69 for 1 at that point. The women’s cricket enthusiast replied, "Oh, you are following the men's match." On that day, 7th February, India men were playing their third ODI. Around 1,000 kilometres away in the same country, India women also locked horns against the Proteas women. In fact, the women's match was more crucial, as it was an ICC Championship match – qualification for the next World Cup. Let alone a live telecast of the women's match; the official BCCI pages on various social media did not even provide live updates or visuals during the match. Although other online scorecards were apparently 'live', the score updates were hardly accurate. You cannot place all the blame on the Indian crowd’s ignorance of women's cricket when the Indian Board itself has been doing nothing to promote the game. In a sad turn of events, where India's women went from playing in front of millions on TV at the World Cup final at Lords to no live telecast in their very next series, Indian cricket fans missed out on a historic moment. Around the time when the entire country was going gaga over Indian captain Virat Kohli's 34th century, Jhulan Goswami, became the first woman cricketer to bag 200 ODI wickets. Playing her 166th ODI, Goswami dismissed South Africa opener Laura Wolvaardt for her 200th wicket. Coincidentally, the first male cricketer to pick 200 ODI wickets was also an Indian - the legendary Kapil Dev. The BCCI's explanation was unconvincing and wildly unsatisfactory: "We do not have the broadcasting rights for the women's tour." That's it? This from apparently the most powerful cricketing board in the world? The same board that allegedly forced Cricket South Africa (CSA) to play their Boxing Day Test against Zimbabwe so they could squeeze in an extra match against Sri Lanka. Why didn't they persuade CSA? At least they could have gone out of their way and provided proper live updates for India cricket followers. Apparently, there was a camera in the ground, but that was not for live telecast. After every match, CSA released a video showing the press conference and a package of highlights, which was not enough. Boards like Cricket Australia broadcast even a tour match, irrespective of the gender of the players. The Indian board wields far more monetary might than Australia, so why can't they support their women's cricket? For more than three decades, broadcasters have served India what they believe will draw the most viewers. Because of this, many instances have passed by when a sportsperson’s achievements have gone unnoticed because of the absence of broadcast; Jhulan was the latest victim. Kohli got an inside edge on his flick to the fine leg that got him to 34th ODI century. People with access to TV or a live stream watched the skipper get to the landmark, while fans without TV or live stream still witnessed the moment by reading the commentary on various cricket websites. Now, let’s talk about Jhulan's record moment. "Goswami to Laura Wolvaardt, out Caught by Sushma Verma!! Laura Wolvaardt c Sushma Verma b Goswami 9(13) [4s-2]"
That was all that was available on the internet when Jhulan scripted history, making India proud, yet again. That certainly was not enough for someone like Jhulan, who has given 16 years to India in the game. India Women have played a total of 37 Tests overall since their maiden red-ball game in 1976. Jhulan entered the international arena for Indian cricket in 2002. 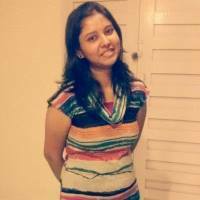 Since her debut, India have played 11 Tests; Jhulan has been a part of 10 of them. In 10 Tests, the West Bengal cricketer has clinched 40 wickets and has two four-fers and three five-wicket hauls to her name. Jhulan is currently the fourth highest wicket-taker in Test cricket for India. If the BCCI organized Test cricket more frequently for India Women, Jhulan has the potential to rush to the top of the wicket charts. However, that seems highly unlikely. The last time India Women played a Test match was back in 2014. After India Women registered victories in the one-off Tests against England and South Africa, the BCCI chose not to arrange any Test series for its female cricketers, for whatever mysterious reasons. A possible argument on that point might be that this is an era of limited-overs cricket and only the shorter formats can popularize women’s cricket in the country. For the record, since India's excellent World Cup campaign in 2017 in England, India has not hosted a single international women’s cricket match. The last time Indian Women played a T20I was back in 2016. With this the current scenario of Indian Women cricket, it is difficult to imagine the BCCI making amends for the state of women's cricket in the country in the near future. Apparently, India Women's final three T20Is against South Africa Women will be telecast live. This is good, but it is also a depressing thing. It is good that there will finally be proper coverage of the Indian women who have been playing some excellent cricket lately. It is depressing that only those matches, when women are playing on the same day and on the same ground as the Indian men, have earned the luxury of a live telecast. Till date, Indian cricket fanatics complain about missing out on Kapil Dev's iconic 175 during the 1983 World Cup due to the BBC strike. 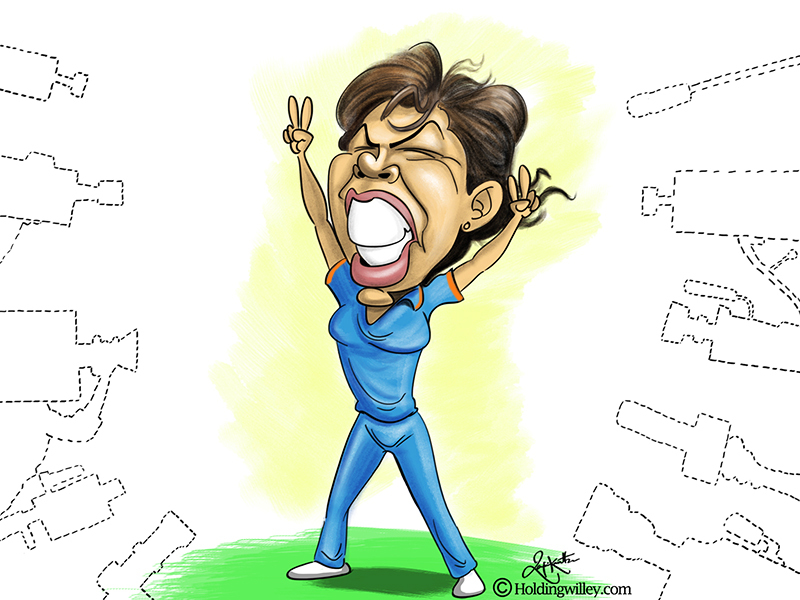 Jhulan's milestone of her 200th ODI wicket was no less than that. And there are people who care about it. When Jhulan got to the historic instant, there was a fair amount of vocal protest on social media. It did not involve the cricket industry, but the Indian cricket viewers, who seemed like they had finally reached a stage where they could demand what they prefer to watch on their TVs. This was a massive victory for women’s cricket in India that was missed out. The BCCI must not give up on women’s cricket so easily. Change does not happen overnight. It is a process, but how much should be borne patiently? Come on, BCCI. Stand up for our women! Are we expecting too much from Rohit?